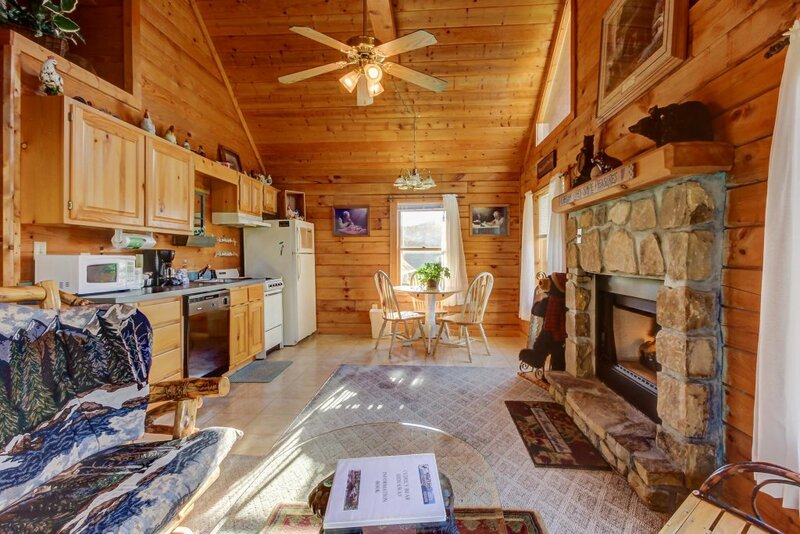 All the grandness of Tennessee is calling, and this homey cabin is the perfect place to experience it! 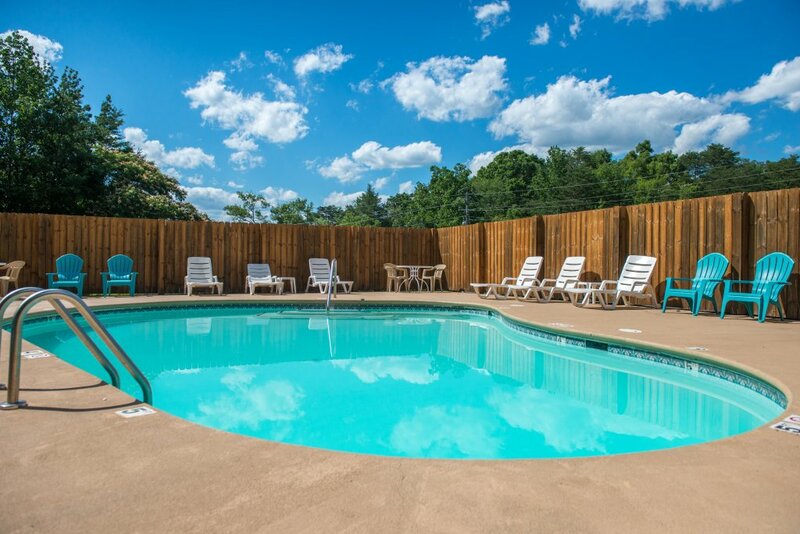 Offering spacious, dog-friendly accommodations, as well as access to a private hot tub and shared seasonal pool, up to two travelers will enjoy this wonderful abode. 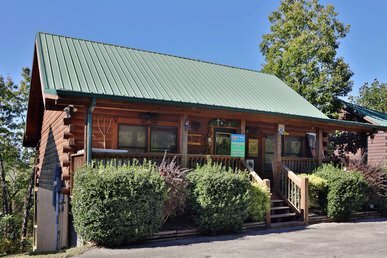 Located in the Arrowhead Log Cabin Resort near Pigeon Forge, you'll have plenty of conveniences on-hand, plus easy access to popular attractions like Dollywood, The Island in Pigeon Forge, the Gatlinburg Golf Course, and Great Smoky Mountains National Park. 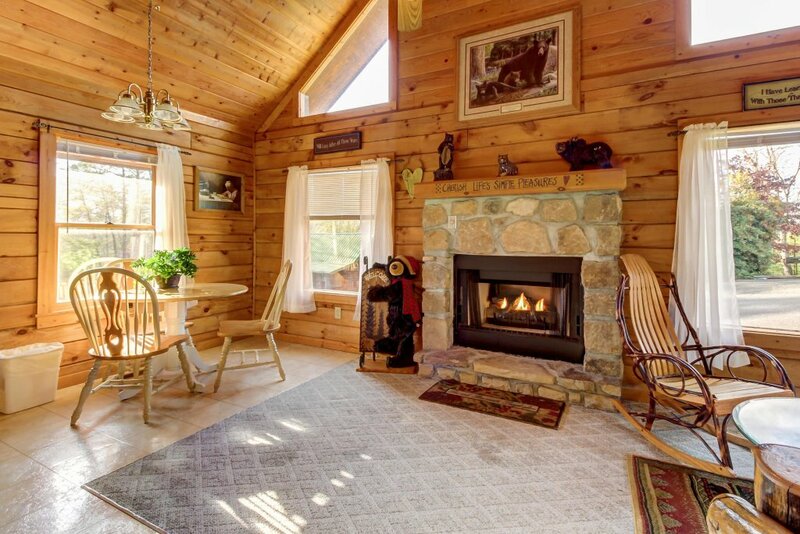 The cabin itself features a cozy atmosphere with warm wood walls, a central gas fireplace, and rustic decor. 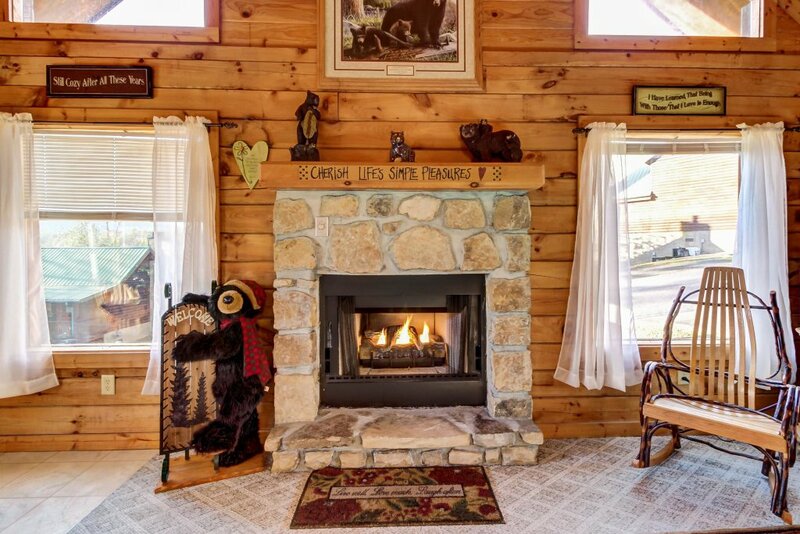 In the main room, get comfy in a variety of furniture and warm your bones by the fire while sharing moments with your special someone. 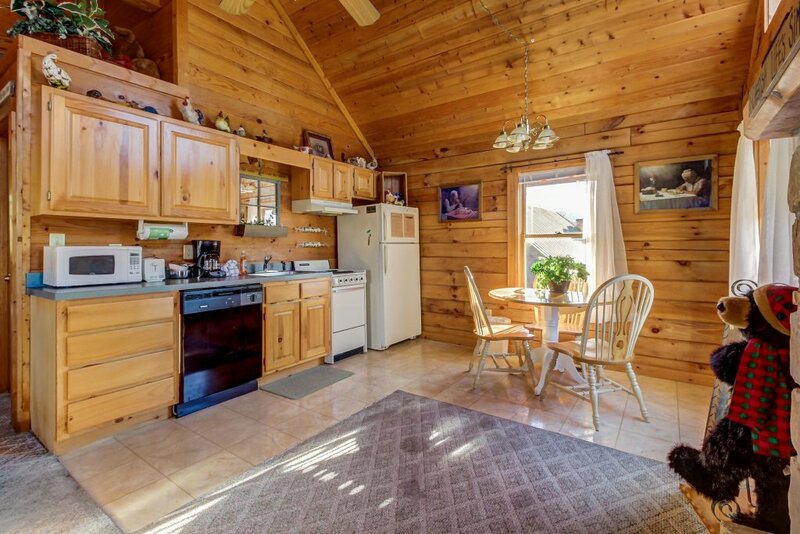 A dining table in the corner is the perfect setting for eating delicious meals together, and a flatscreen cable TV at the other end of the room helps you relax after a long day. Keep up on emails with complimentary WiFi. 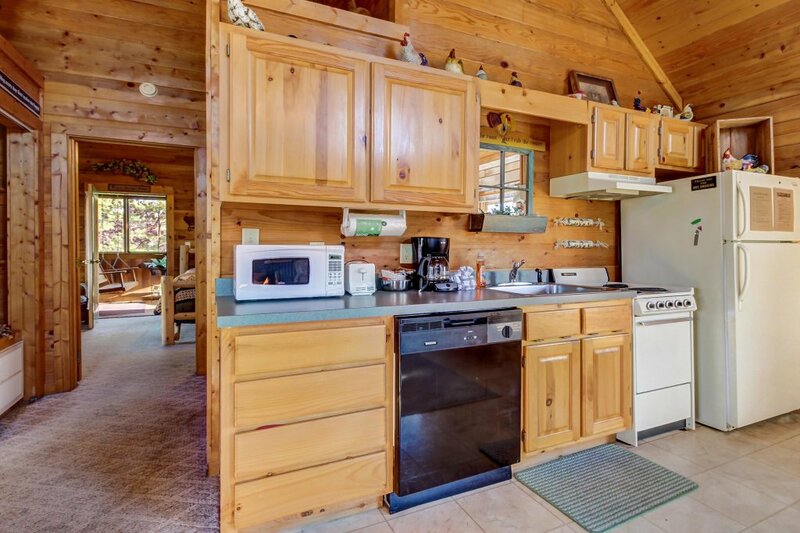 All the amenities you could hope for are available in the kitchen, so cook away! 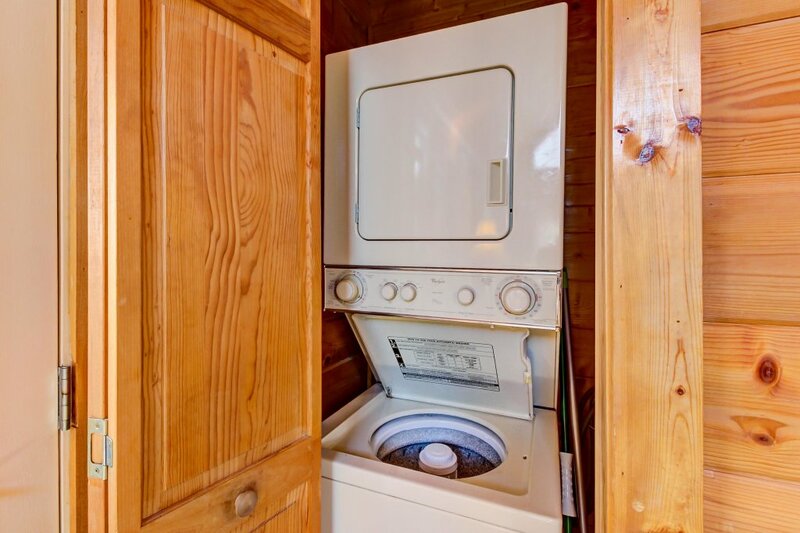 Not only can you save time and money, but extras like a coffeemaker and dishwasher are convenient, as well. 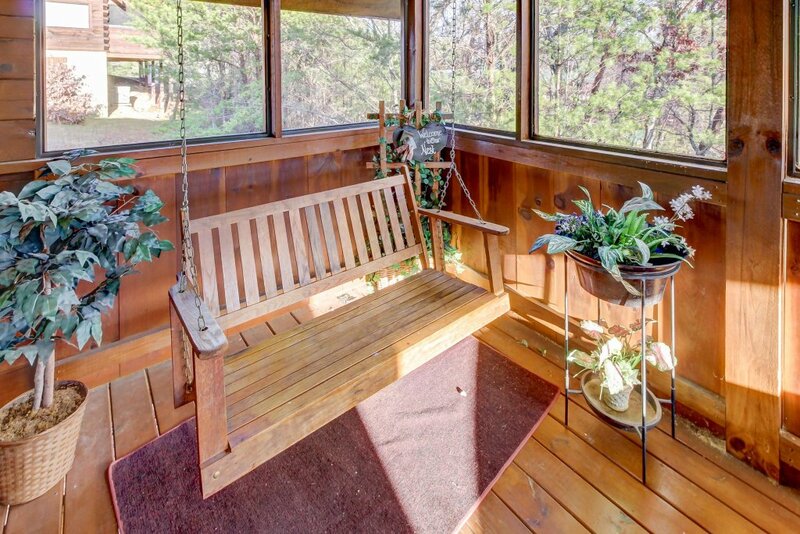 Step outside onto the enclosed deck to breathe some fresh air with your coffee while relaxing on the wooden swing. 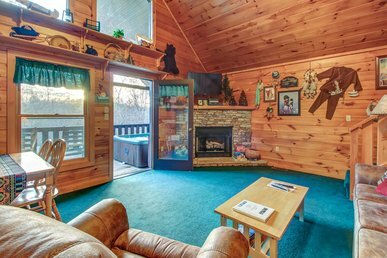 A couple of rocking chairs around front are great while your dog enjoys the grassy area (please note a small, nightly pet fee). 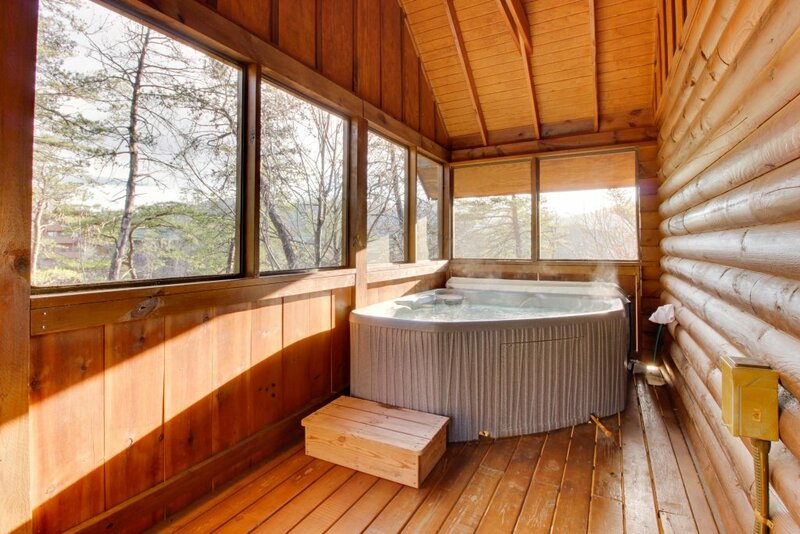 You might grill up something tasty on the charcoal barbecue, then go for a rejuvenating soak in your private hot tub after a long day! 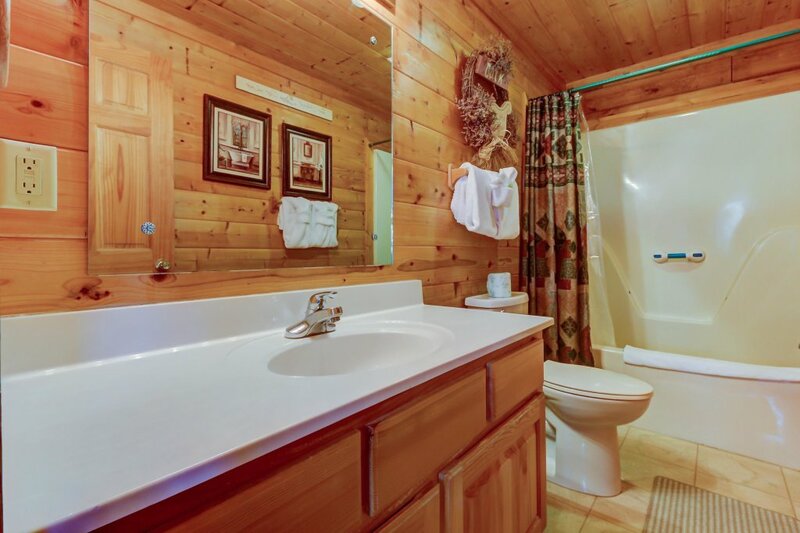 With one bedroom and one full bathroom, up to two guests will find comfort here. 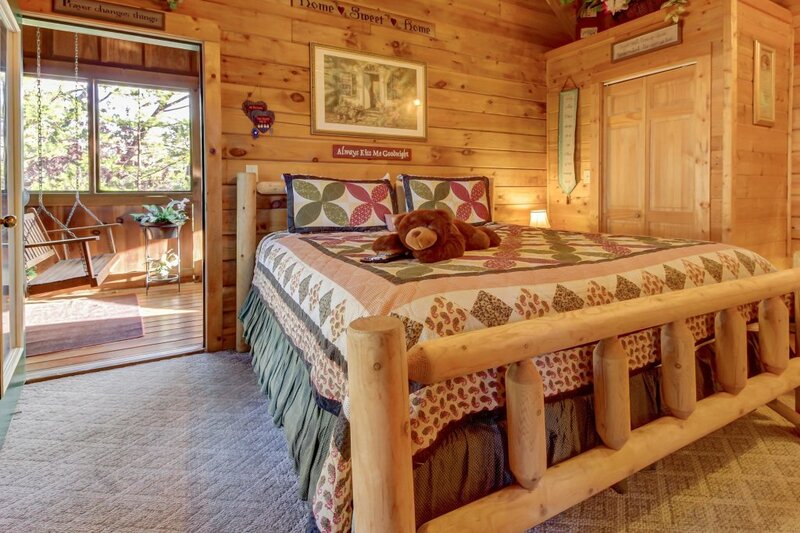 No matter how you spend your days, you'll sleep well in the king-size bed with a plush teddy bear to cuddle with, if you wish. 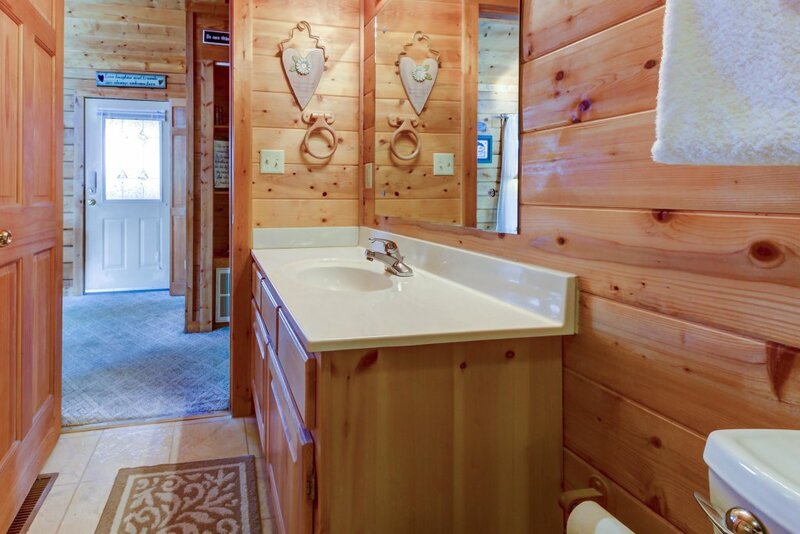 The bathroom features a luxurious soaking tub as well as a stand-up shower. Be sure to take advantage of the shared pool while you're here for a quick dip and a swim to refresh between activities. 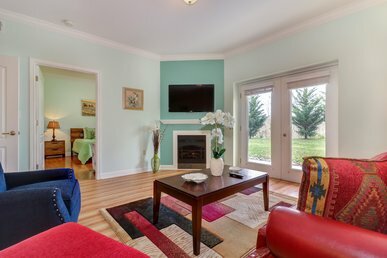 This house is perfect for couples - head to the streets in downtown to soak up all the culture you can. 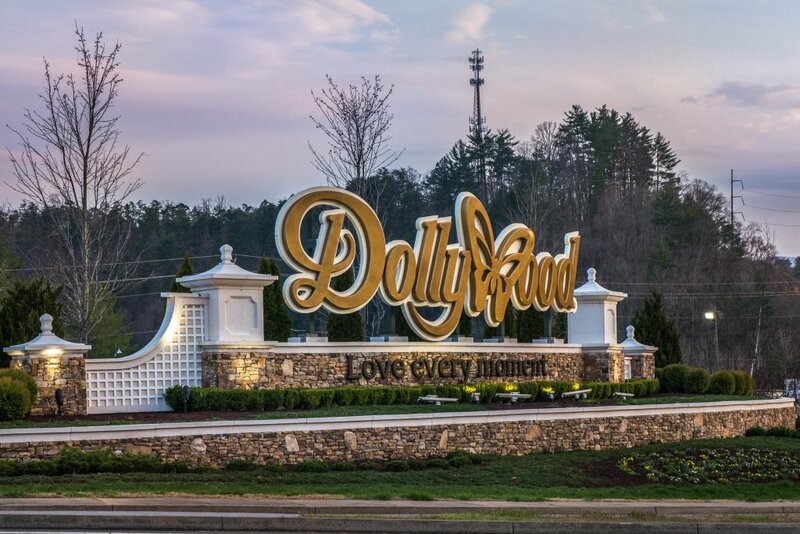 Listen to live country music, find thrills and laughs at the famous Dollywood amusement park, Splash Country, or any one of the go-kart tracks nearby. 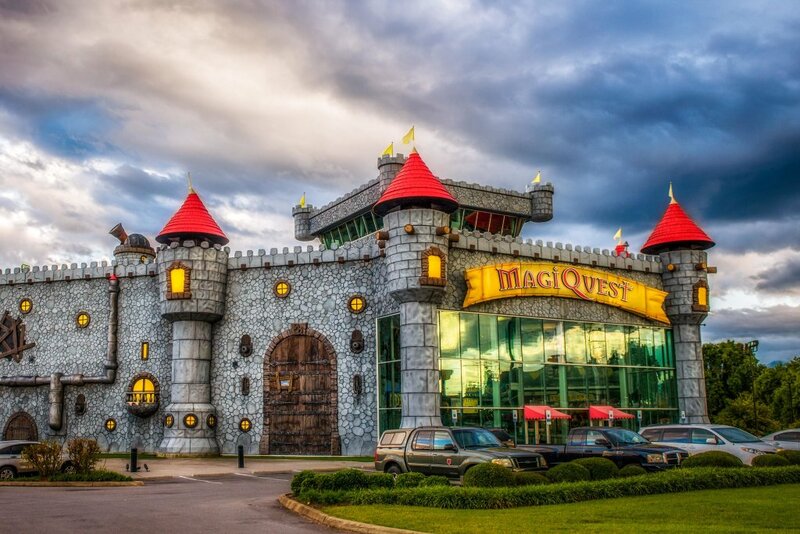 Daring couples might even test their relationship with a ropes course at The Island. 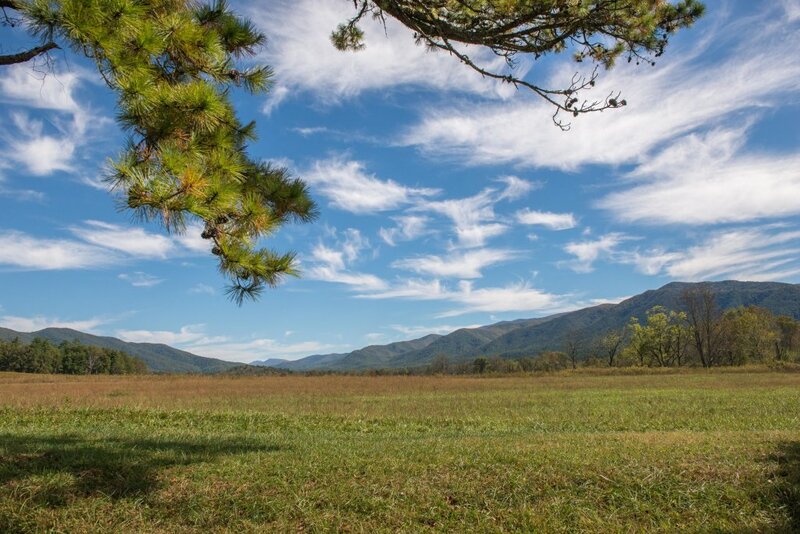 The biggest draw of the area might be the wilderness just to the south - the Great Smoky Mountains! 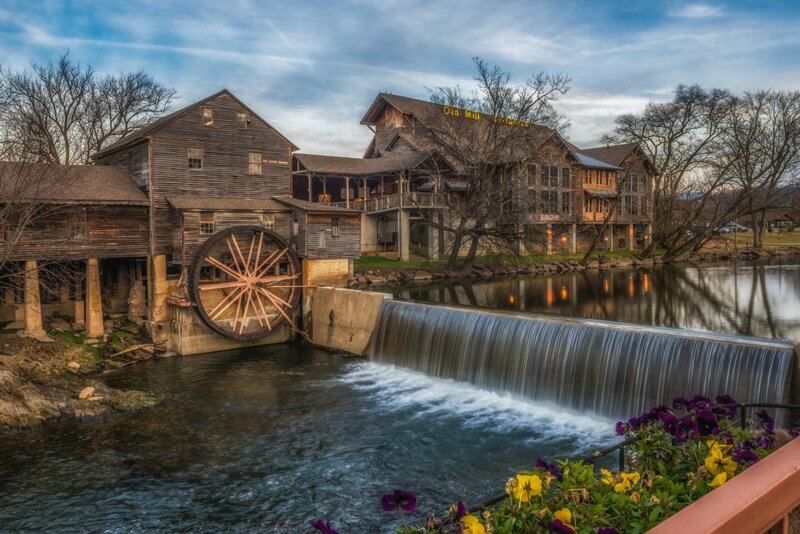 Lace up your hiking shoes and hit the trails to explore waterfalls, ghost towns, and hidden caves, not to mention over 10,000 species of life present in this vast expanse of nature. 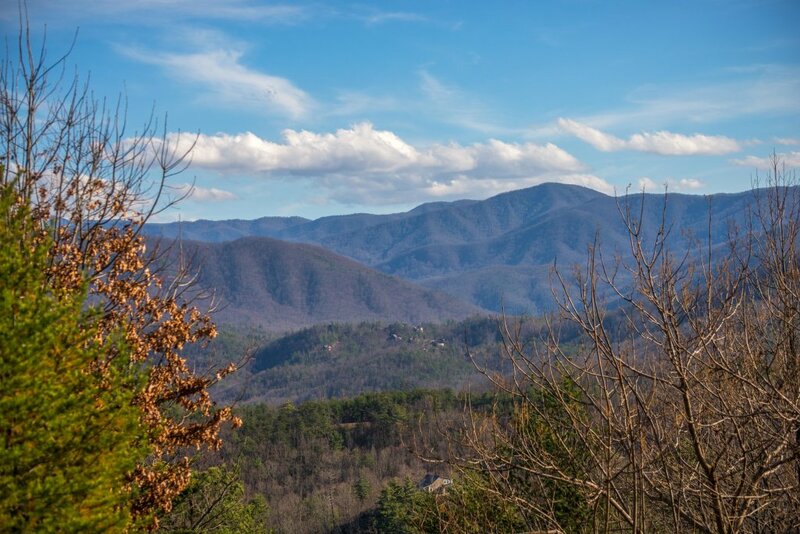 If you'd like to get a glimpse from up high, take a ride to the top of the Space Needle in Gatlinburg. 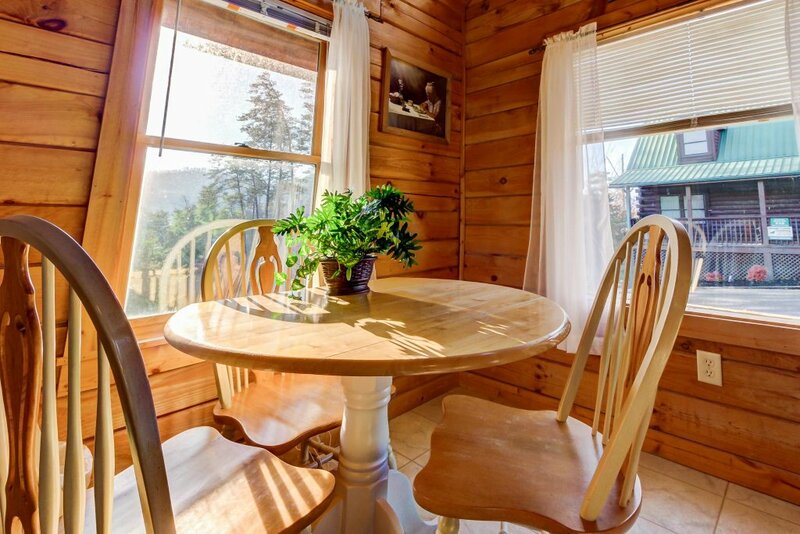 Make your next vacation one you'll never forget by staying in this cabin - book today! 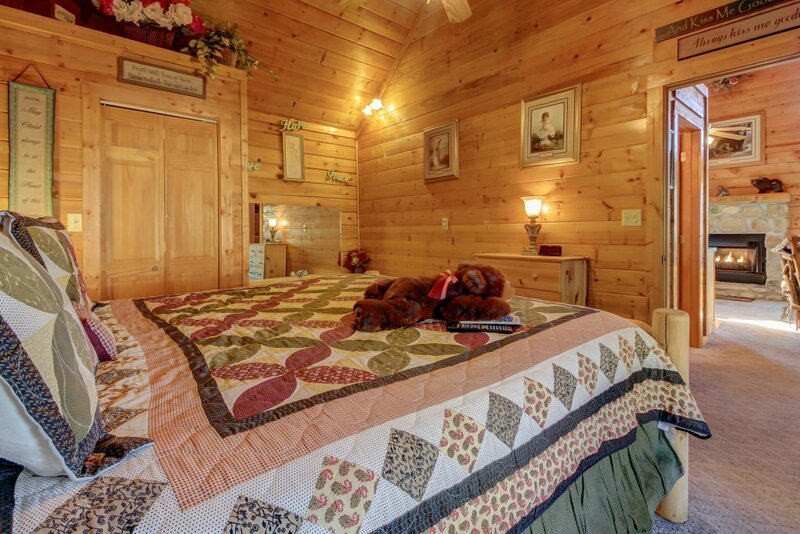 This was my 2nd time staying at this resort , the cabin was very nice, loved the bears! The only thing that was missing was a comfy couch, cute loveseat and chair but would have liked something more comfortable, otherwise it was great! 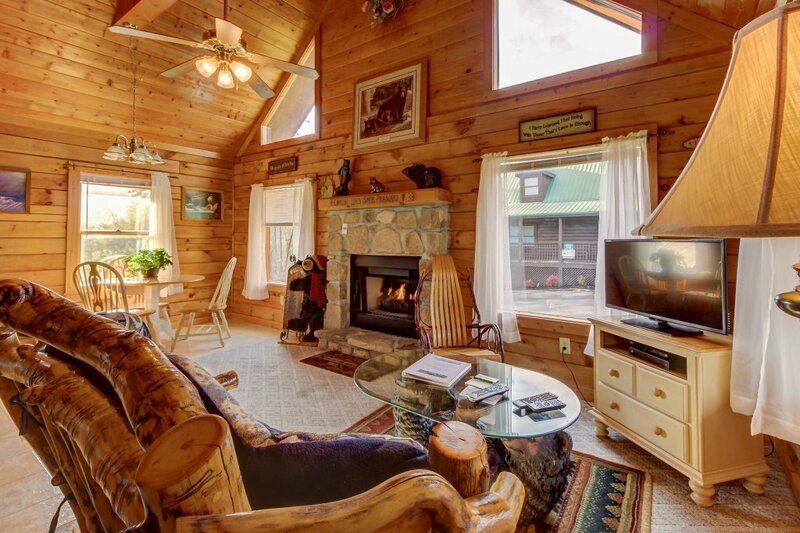 Nice Little Getaway For 2! 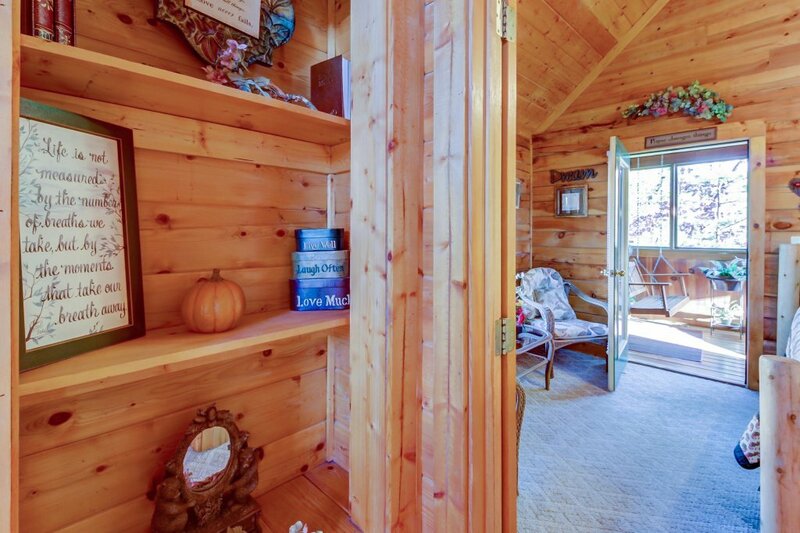 I really enjoyed the beauty of the decorations in the cabin. It made it a calm and peaceful place to stay. I also liked that laundry detergent and dishwashing liquid was provided. To me itâ€™s the little things like these that make the stay more enjoyable. 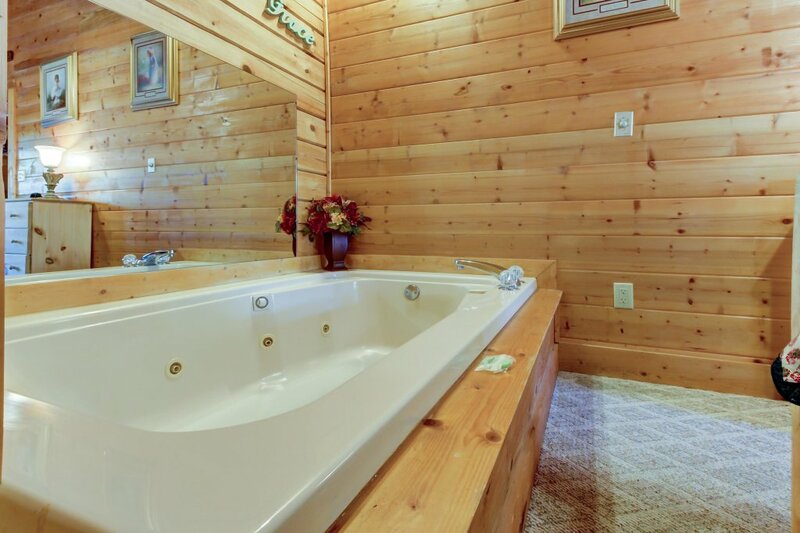 Also, we LOVED the hot tub! So relaxing and the view is beautiful! 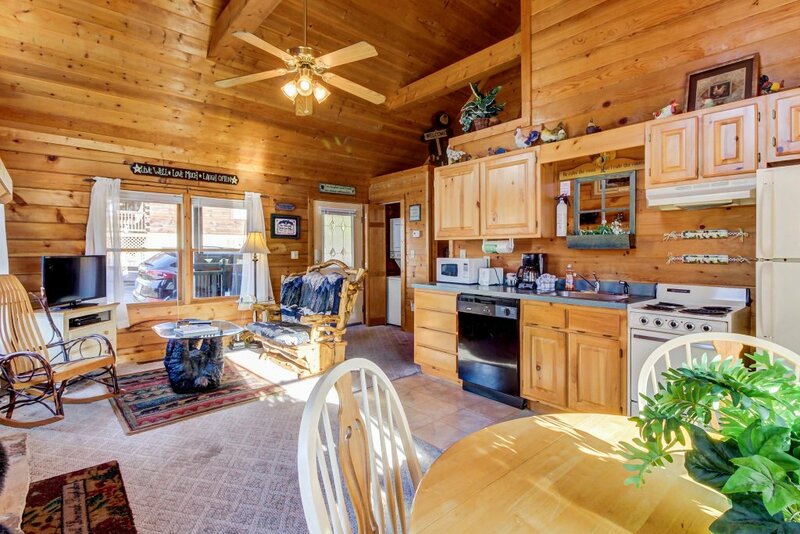 The cabin was clean and cozy and had everything we needed for a week-long stay. 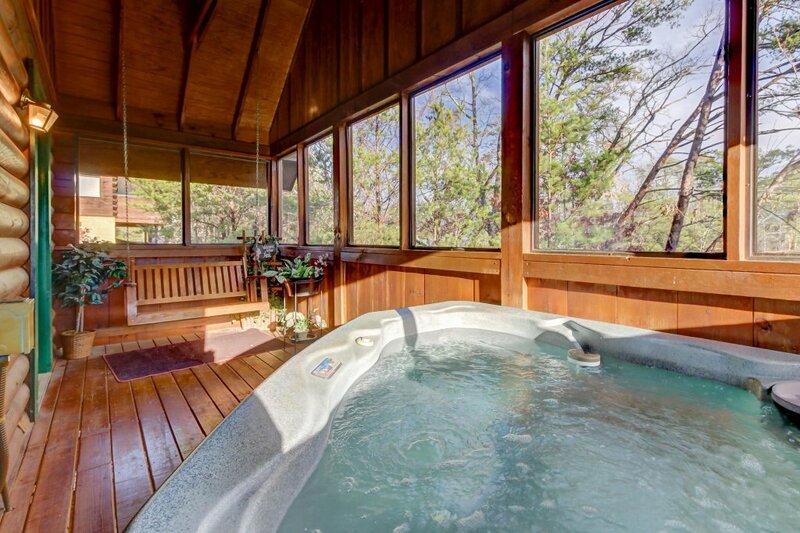 We enjoyed the hot tub and the view of the mountains from the back porch. There is really nothing good we can say. There was dog hair everywhere, even in our bed. The shower head was as big as my thumb and only gave off a mist. You could not walk in the place without creaking like it was about to fall apart ( certainly couldnâ€™t be quiet if someone else was resting). And lastly and mostly, the only sofa was made out of a tree with a pad about 1/2 thick and drove the rails into your rear. So choices were that or laying flat on your back in the bed. We would never return. Upon our arrival the curb appeal was nice. 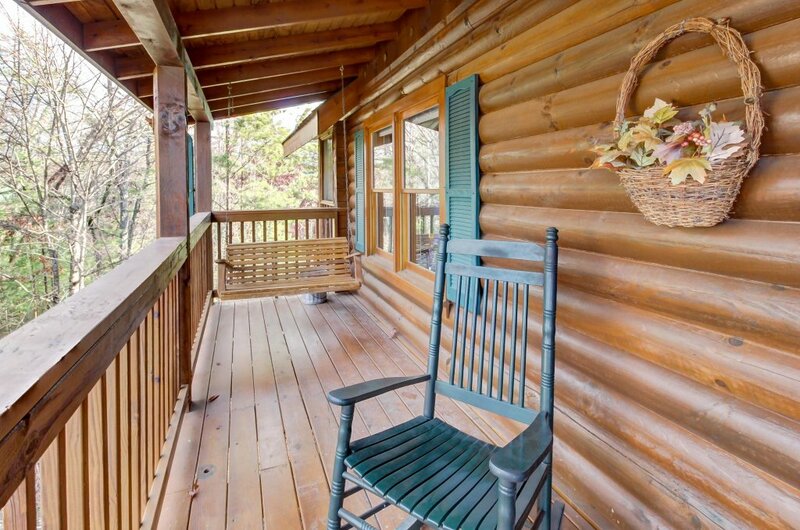 You can sit on the porch and relax while you barbequed. Inside was peaceful and really nice. 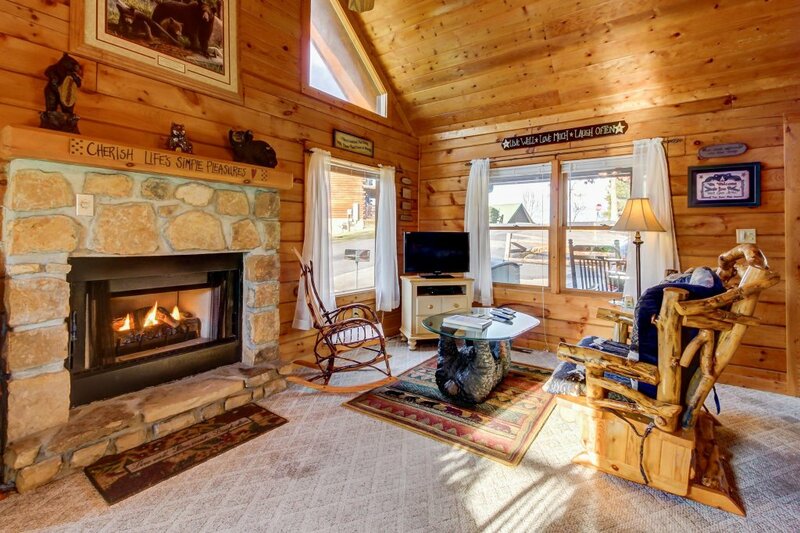 My first getaway in a long time and my first cabin in 40 years. I would recommend this place to anyone who just want to get away and relax. 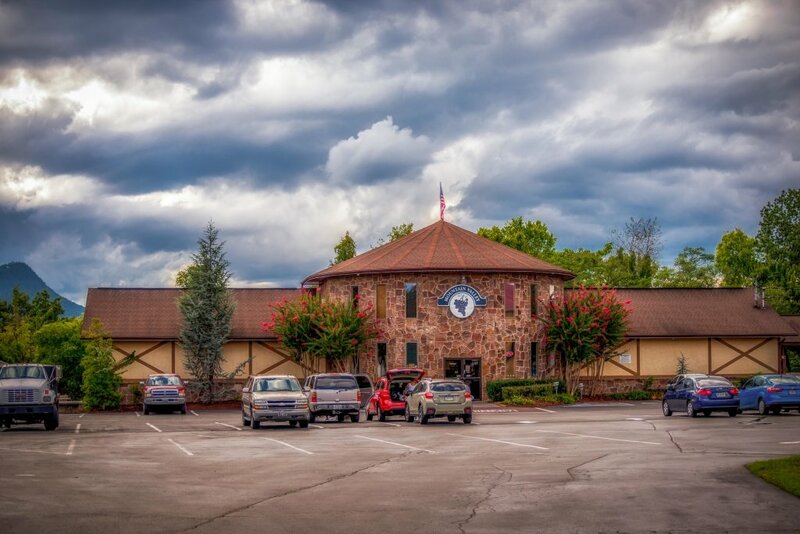 It is also close to everything if you get bored and want something to do. 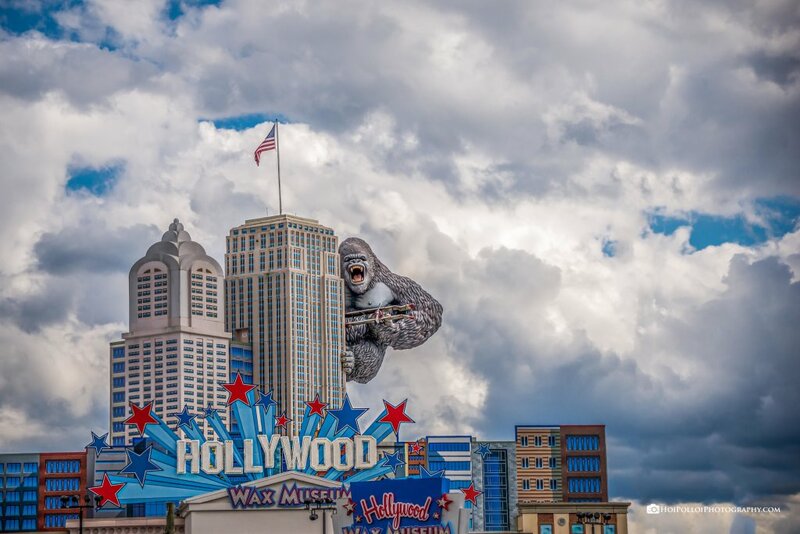 I definitely will be returning. 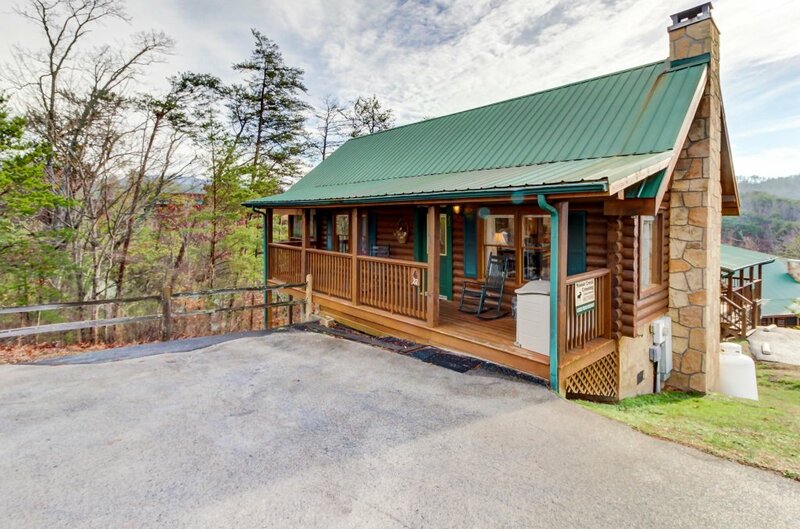 This was the first time we have rented a cabin. And we were very well pleased. 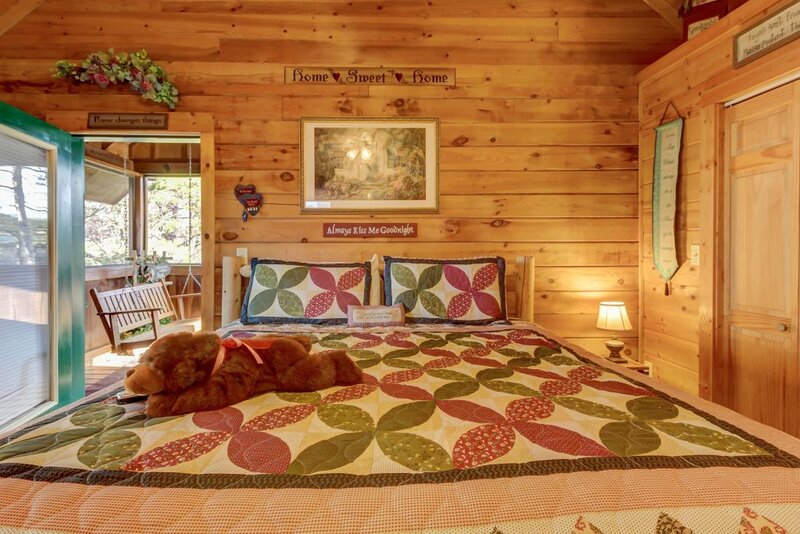 The cabin was clean and very cutely decorated. I honestly could live there! We will definitely be back next year!! 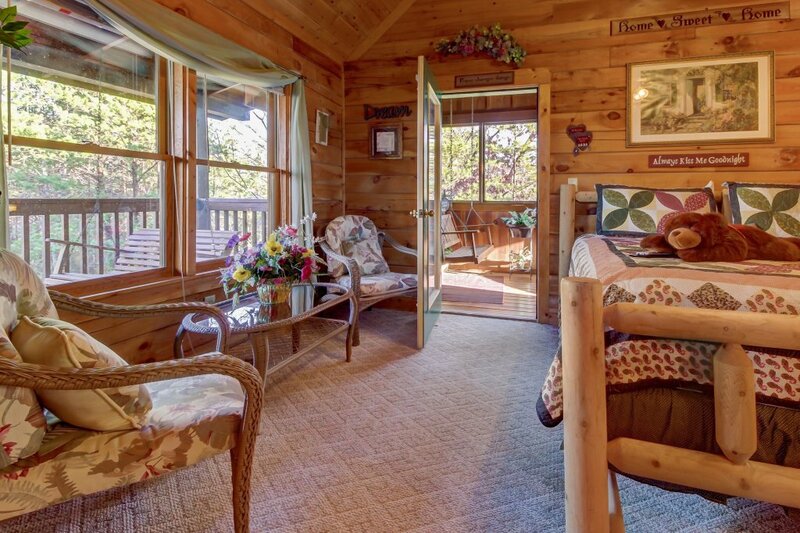 We love spending our 14th wedding anniversary in this cabin. It was so quaint and decorated so sweetly. 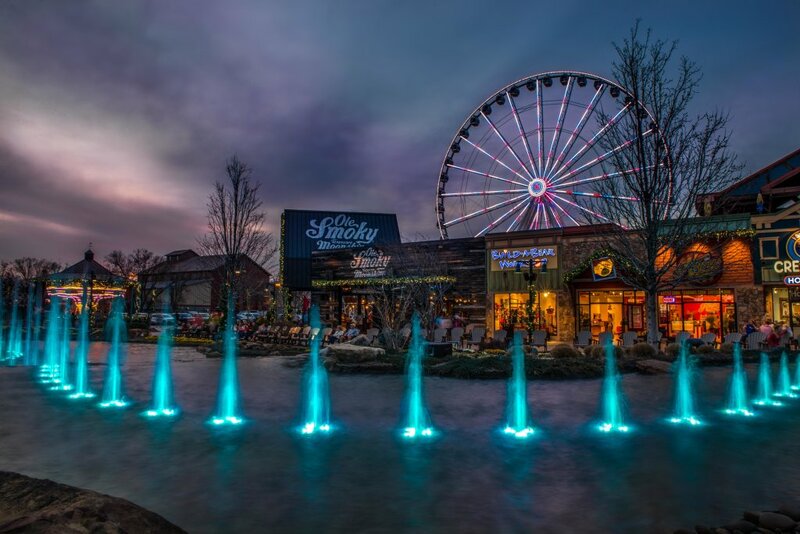 Itâ€™s close to Pigeon Forge and Gatlinburg but donâ€™t forget to visit Wears Valley......itâ€™s a hidden surprise! Thank you Vacasa.com ?